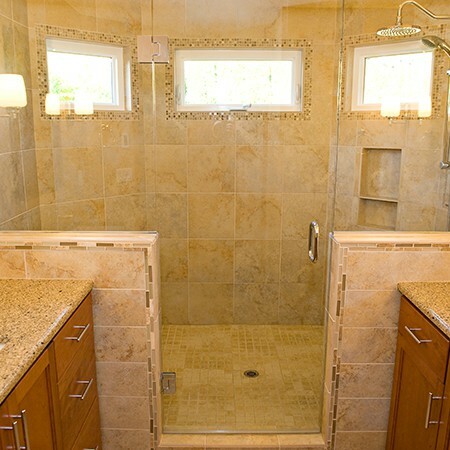 Like many Portland homes built in the 90s, the large master bathroom tub and tub deck were unused and unwanted. 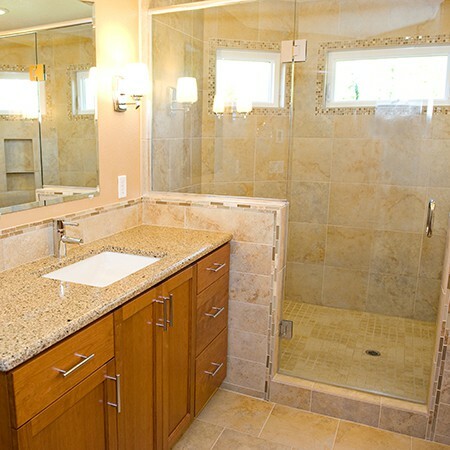 What our homeowners really needed was more vanity space and a larger shower. 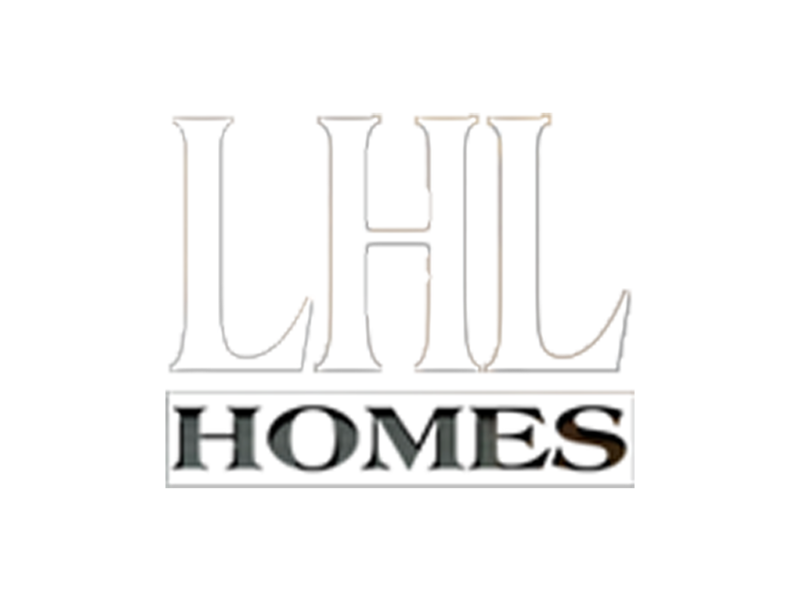 LHL went to work. 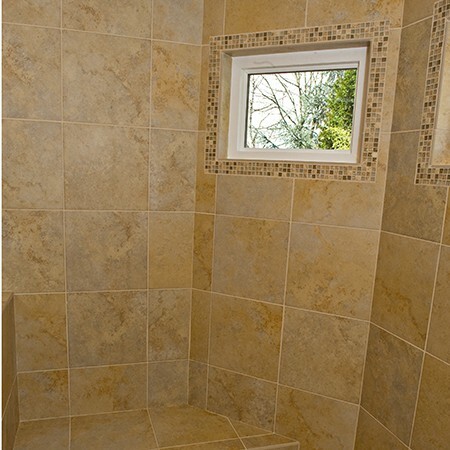 The bathroom was gutted and re-designed. 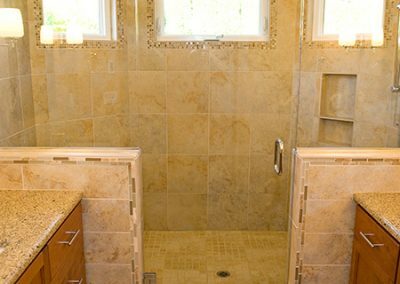 A second vanity was added where the old fiberglass shower was removed, and the tub area became a luxurious and spacious shower. 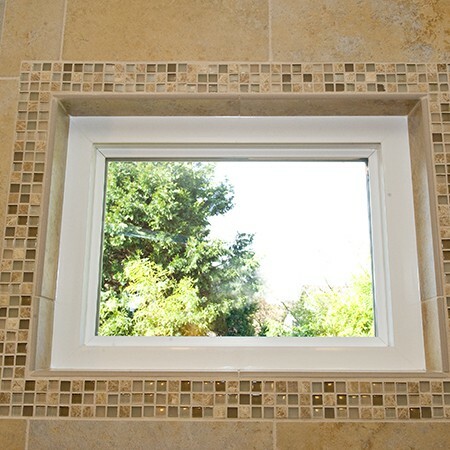 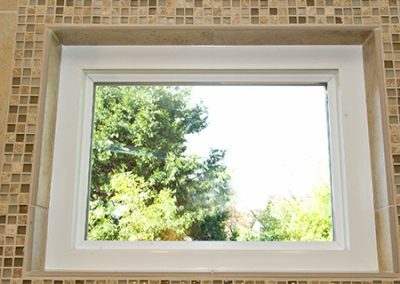 Existing tub windows were converted to transom windows and “framed” with mosaic tiles. 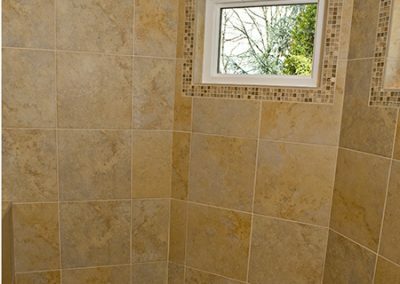 The new shower, heated floors and vanity backsplash were creatively designed with beautiful tiles and patterns, while the vanity tops featured Chroma “Canary” quartz. 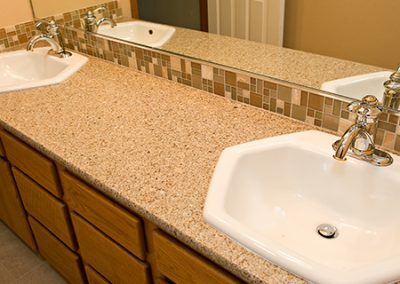 A 3/8 inch heavy glass shower enclosure, carefully coordinated plumbing fixtures with under mount sinks, decorative mirrors, new lighting and new paint completed the transformation. 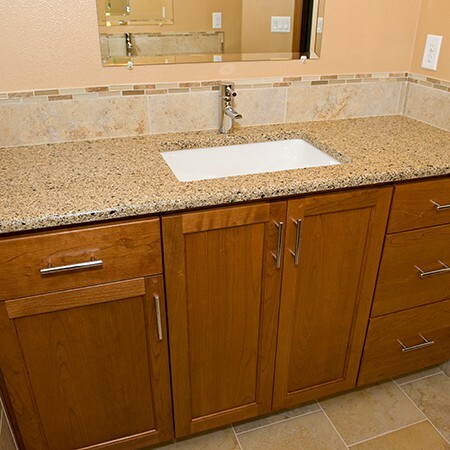 The new bathroom is spacious, bright, and tailored specifically to our client’s lifestyle. 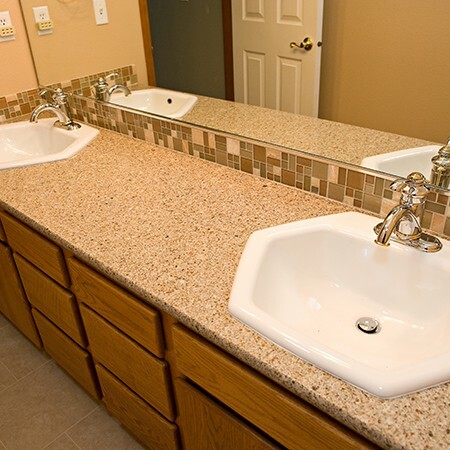 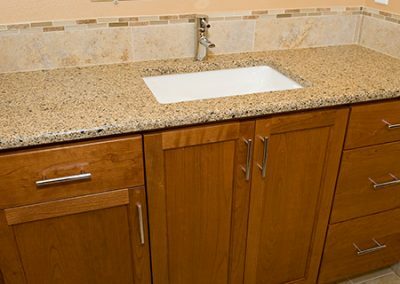 In addition to the master bath, the main bath’s face-lift included new Cambria “Sutton” quartz countertops, new tile floor and backsplash, and new plumbing fixtures. 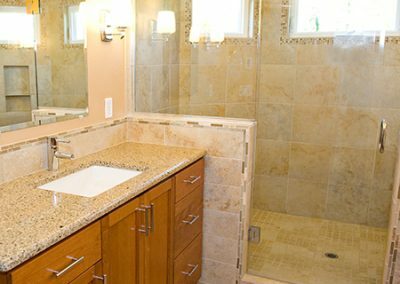 By making, targeted, value driven design changes we created a beautiful, newly appointed bathroom without breaking the bank.